This dish was amazing. The favors were out of this world. 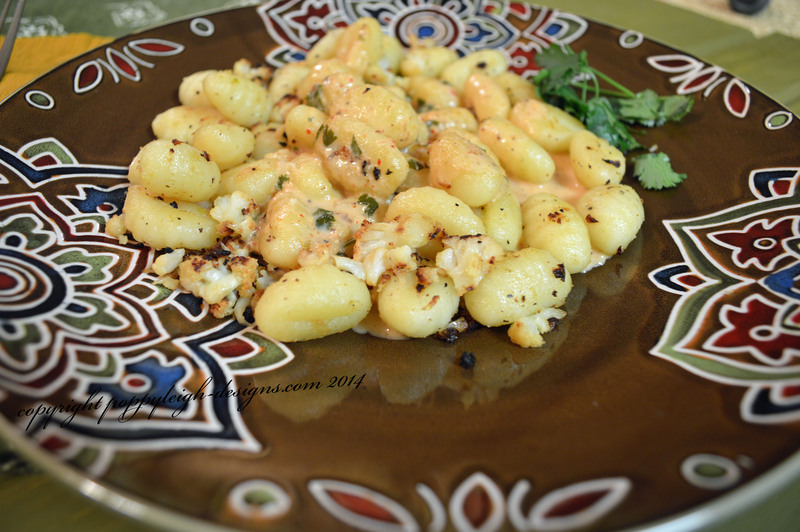 I typically have curry in Indian dishes, and never with creme fraiche, cauliflower or gnocchi. Wowzers. Preheat your oven to 450°. 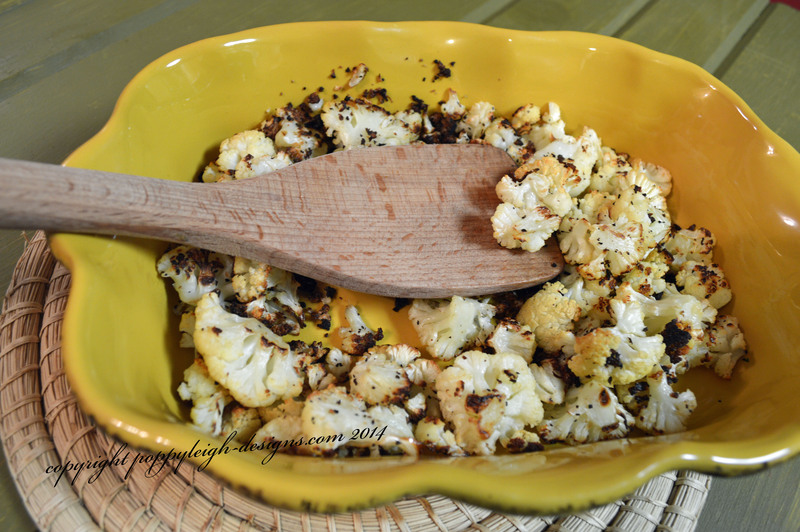 Toss the cauliflower with olive oil and salt in a glass baking dish. Roast for about 30 minutes stirring occasionally until the cauliflower is lightly browned – you will be pan cooking so you don’t want the cauliflower to be too brown. Combine the can of coconut milk, crème fraîche, and panang curry paste in a small saucepan. 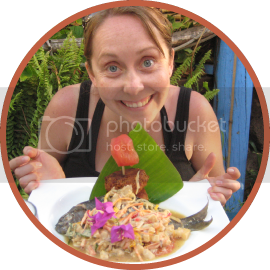 Heat over medium-low heat, whisking to remove any lumps in the coconut milk and curry paste. Whisk constantly, and when warm, turn to low heat, and continue to whisk. At the very end stir in cilantro. 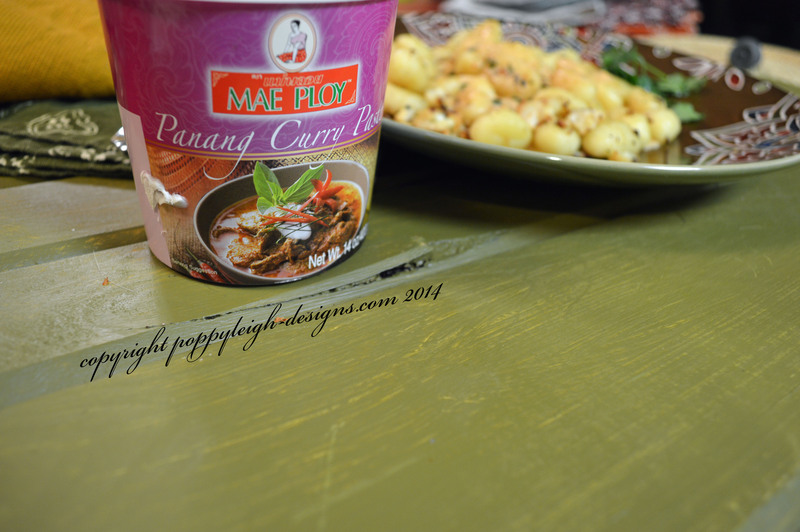 I’m not exactly sure how much curry paste I added, the curry paste has amazing flavor and isn’t terribly spicy – just add enough to satisfy your taste buds. Bring a pot of salted water to a boil. 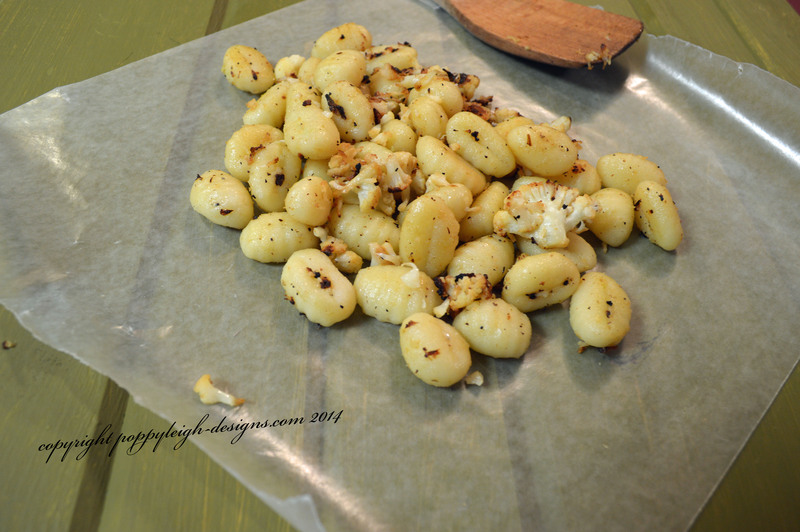 Add the gnocchi and let cook until puffy and floating (around 5 minutes if using fresh gnocchi, around 8–10 minutes if frozen). 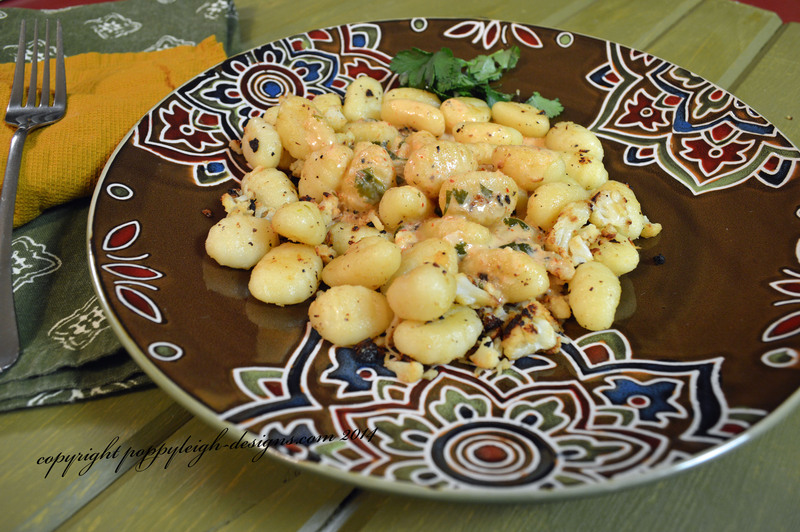 While gnocchi is boiling, warm the butter in a skillet or saucepan over medium heat. 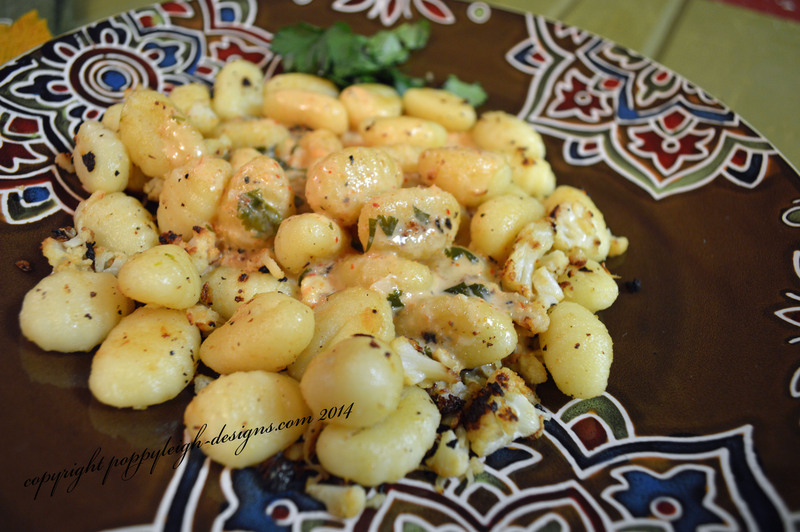 When sizzling, add the garlic, roasted cauliflower then add the cooked and drained gnocchi. Saute everything until the gnocchi are nicely browned. Serve with the roasted cauliflower and cover with the curry-coconut crème fraîche sauce. Garnish with extra minced cilantro.